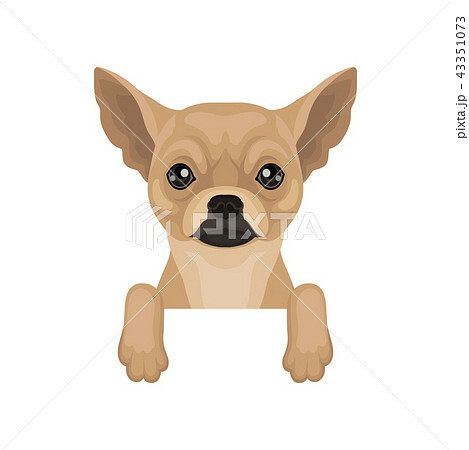 Cute chihuahua puppy hanging on invisible border. Home pet. Half body of dog. Graphic element for promo poster of pet clinic or animal food packaging. Flat vector design isolated on white background.